When we lose one blessing, another is often, most unexpectedly, given in its place. I cherished every part of today. The message of Easter is the very heart of Hope. Redemption . . . resurrection . . . rejoice! The key event surrounding that first Easter over 2,000 years ago is the very event central to my Faith: the empty tomb. It never gets old to hear the Easter story, and this morning was no different, only it was extra special to have my parents and sister and her family with me in church and throughout the day. So many times in life, it is easy to be consumed by disappointment. Circumstances. Relationships. The very things and people that create amazing and beautiful memories can also be the very source of pain and heartache. 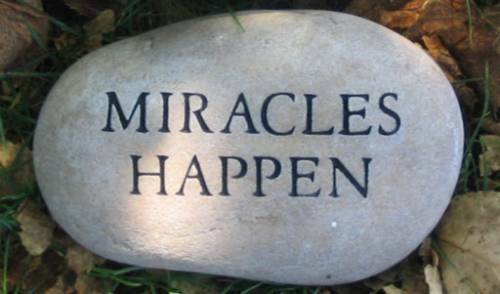 Just as I have been astonished at the people in my life who have gone above and beyond to bless my family through this trial, I am equally dumbfounded to see the “friends” in my life who have disappeared since diagnosis. Deep down my heart longs to give grace to those who are clearly too consumed by their own “discomfort” about my diagnosis to acknowledge me at all, but the honest reality is that it’s quite disappointing and in many ways makes me wonder how they were ever part of my life pre-diagnosis. Each one of us is in search of a Hope that is everlasting. It’s impossible for people or things to fulfill that desire. If we allow the disappointments of events in our life dictate our happiness, we will all eventually be left in a state of discouragement. On Saturday, my youngest son, Lance learned that after building a wonderful relationship with his piano instructor for several months, she left the music school—disappeared without so much as a note to her students. My heart sank for Lance. The situation, however, was the perfect opportunity to reinforce to each of my boys that even in the face of disappointment—a blessing always awaits on the other side. I’m not denying that those moments aren’t painful or frustrating, but what’s great is that each one can be used as an opportunity to grow in our Faith, the only true source of contentment. We can take the “dis” in disappointment and turn it into “divine” appointment. 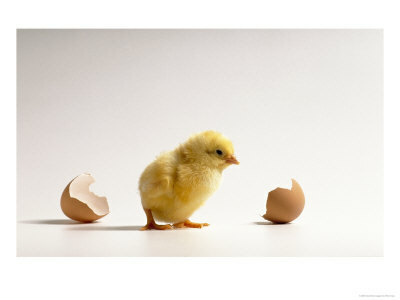 Right now I feel like that tiny chick waiting to break through my shell, into the light. I’m further reminded that the darkest part of night comes just before the break of dawn. Out of the darkness, emerges new life, a new Hope. I am excited to take my current DISappointment in life and turn it into a DIVINE appointment. There are some moments in life that are almost too surreal to adequately put into words. Those of you who may read my journal (or as I refer to it—the c-Blog), and were actually witness to what happened Sunday morning . . . well I needn’t say more. Divine encounters are just that . . . Godly appointments orchestrated on High, for a greater purpose, often times used to reveal Himself in an undeniably powerful way. This particular encounter was something that I’ve never experienced before. It was overwhelmingly beautiful to say the least. We often go to church on Saturday evenings, but this weekend John and I both felt strongly about going on Sunday morning instead. Upon arrival, we entered a packed sanctuary and were blessed to receive an encouraging, hope-filled message. Then, in an unusual gesture during communion, the Pastor felt prompted to encourage those in need of any type of healing (physical, emotional, spiritual) to come forward to receive prayer. Now normally, it takes a lot for me to be prompted to act on such an invitation, instead I’m usually one of the people interceding on behalf of others. However, at that moment, I knew that I would be a fool not to take the invitation … acknowledging the simple truth that I need prayer even if that involves stepping completely out of my “comfort zone”. During prayer, the Pastor felt led to ask if there was someone who needed to share a testimony. One person, without hesitation spoke and when finished the Pastor asked again, if there was someone else who wished to share a testimony. It was very unusual—clearly not a “planned” part of the service, instead Spirit-led. A woman stood up in the sanctuary and started to move forward toward the platform. The Pastor realized this was not a regular parishioner, but a first-time visitor. Yet in an act of faith, the Pastor handed her the microphone. Before she spoke, I looked at this woman, and though I’d never seen her before in my life, I felt an unusual connection. After the service, we talked for a long time and she shared how God had been waking her up for the past three nights at 3:00 am, prompting her to pray for someone, she was unsure who. She then shared how she had no intention to visit the church but not knowing why, felt prompted to look up directions to the church the night before. In addition, a week prior, she had dreams that God would be using her to touch and heal lives with her story. The entire morning was indescribably indescribable. Through this divine encounter, I met a soul sister handpicked for me at that moment. The Lord reminded me of His promise — that He has no intention of leaving me or forsaking me and that it was He who knit me together perfectly in my mother’s womb, creating my inmost being. His gentle whisper assured me that He would keep me as the apple of His eye, hiding me in the shadow of His wings.